10 minutes walk to Liverpool Street station. 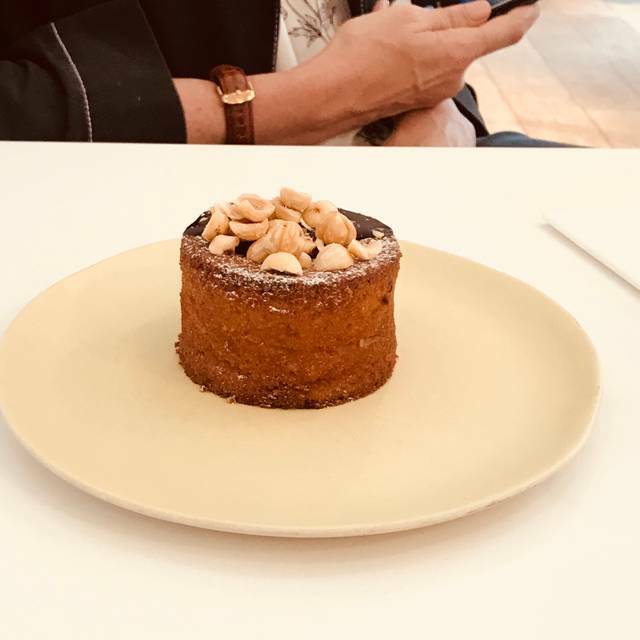 Spitalfields is the latest Ottolenghi deli and restaurant to open and also, being able to sit up to 70 people, its largest. As well as table sitting, there is also communal bar which customers can dine at. 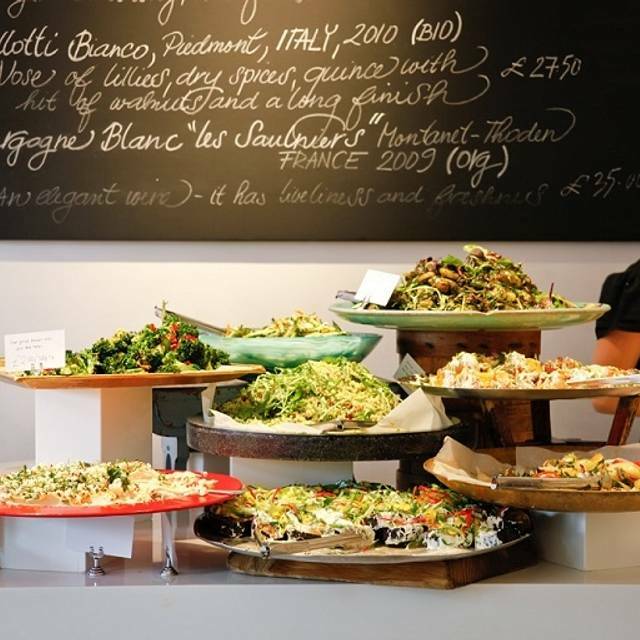 For those on-the-go, Spitalfields also has a pack-to-order counter service as well as a grab-and-go fridge of ready-made sandwiches and salads. A meal with some interesting flavours, tried the sardines, aubergine and feta, plum and duck balls, Turkish dumplings. All delicious. Super friendly, super food no more words needed!! Excellent food, brilliant staff and a great vibrant buzz about the place - I'll definitely be back! 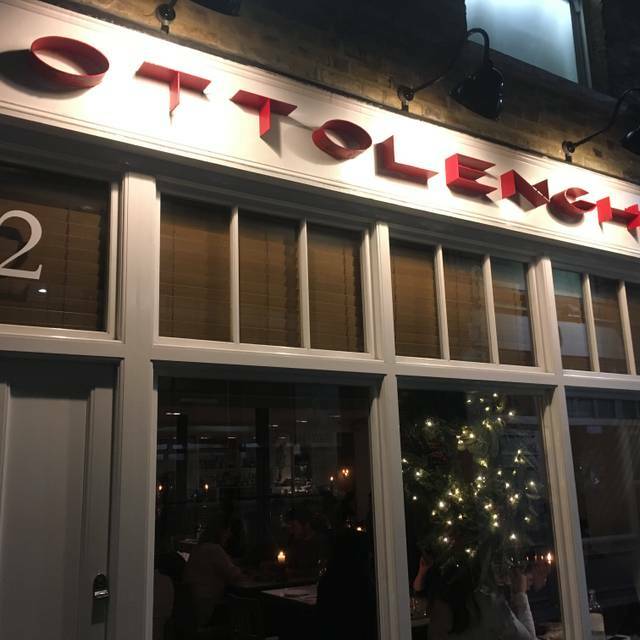 This was my first visit to any of Ottolenghi's restaurants and the food and service exceeded my already high expectations. Wonderful. It’s not that great. The recipes are really good, the menu is balanced. But the execution of it all is not at all that good. The kitchen, the waiters, and the bartenders are not aiming for perfection, and that, you can feel and taste. 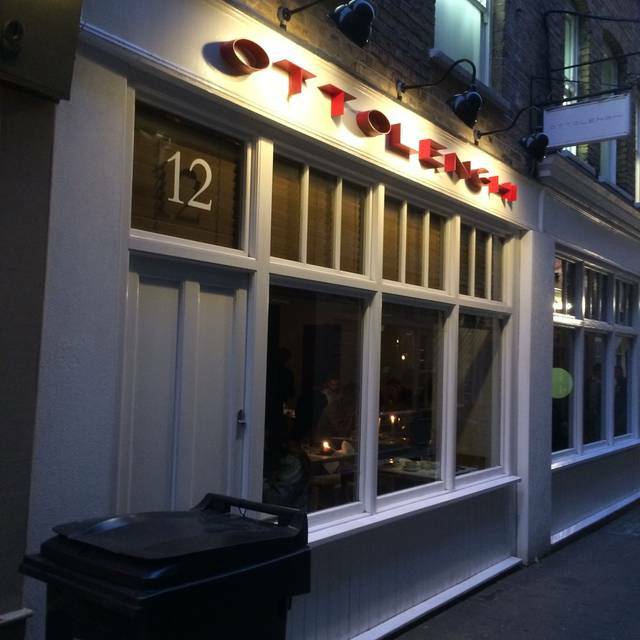 It was my first time visiting an restaurant of Ottolenghi, i love it and I will come back soon. Great menu although some further explanation on it would definitely help, regarding the food and sharing plates. Slightly slow service to begin with, but the staff were very friendly and helpful, I have already been back! 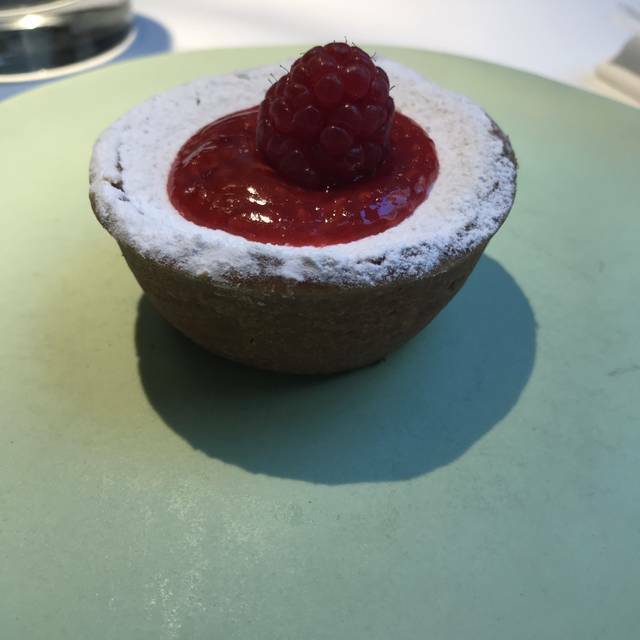 The best meal we ever had in London. Very friendly service, very delicious food in a comfortable atmosphere. Great food. Very noisy and busy but service still good and we were left chatting at our table unhurried and unhassled which was such a treat. Will return no question. the service was great & spontaneous. our food came before the drinks. Otherwice we had a lovely time at Ottolenghi. We really enjoyed our breakfast visit to Ottolenghi Spitalfields. The food was excellent and unusual. The service was very good and the waitstaff gave very good recommendations. Overall, we highly recommend coming here for a lovely brunch! Delicious food! I’ll come back soon! The waiters are very nice even we have to wait for our plates. 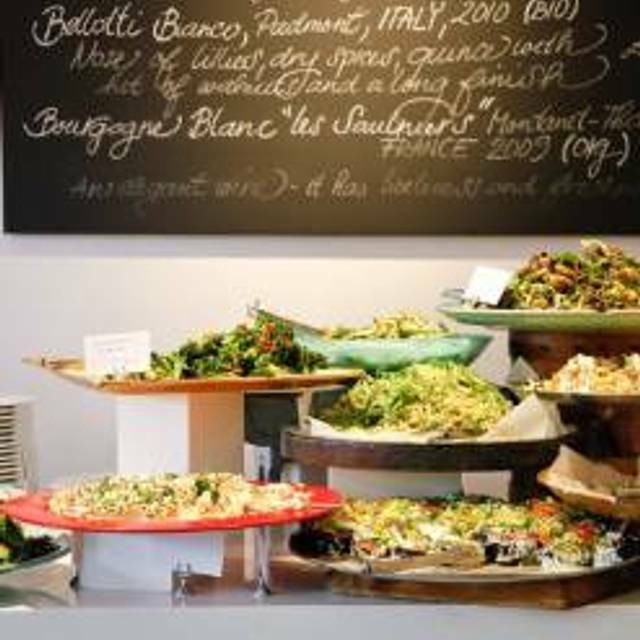 I have been going to Ottolenghi in Islington for years and loved the fresh exciting flavours and textures. I took a client to Liverpool Street and the experience was very very disappointing. I felt ashamed of my choice of restaurant. I ordered 3 salads which were all tasteless and bland. 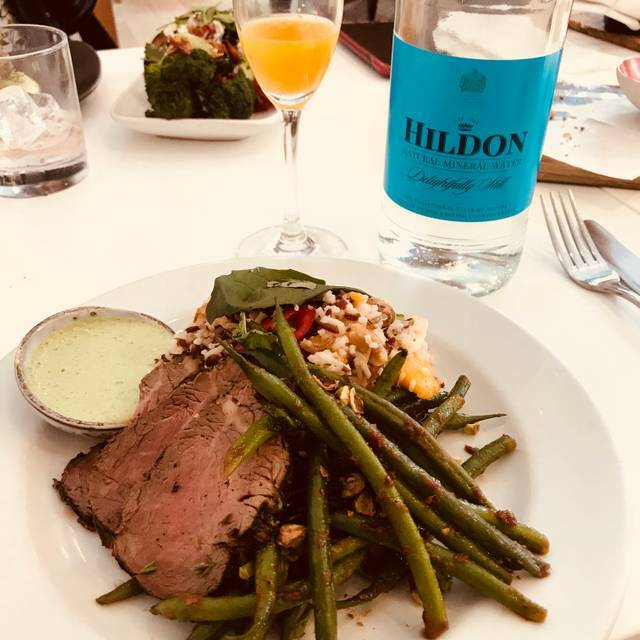 The tabbouleh seemed to have no herbs or spices, the green bean salad had one spinach leaf and no asparagus and again no flavour. The aubergine was tasteless and a greasy mess. I am so used to flavoursome food with great spices and herbs and this was nothing like it. My guest had sardines (actually one greasy half a sardine) and two salads. He didn’t eat either of them - his green beans were raw and tasteless. What has happened - I hope it’s not a case of expanding too quickly and becoming a poor franchise. An extraordinary experience. Brilliantly choreographed by our attentive server, Andrea, we enjoyed a gastronomic masterclass ranging widely through meat, fish and vegetarian mezze before tucking away some deli treats for morning snack. Already planning to return. Am loving these restaurants, every single one offers something slightly different but impeccable standards across them all. Slightly disappointed today. Food so loaded on small plate most ended up on table with initial mouthfuls . Good flavours and interesting textures to salads. Chicken tough...possibly just unlucky as always great experience and staff lovely. We went for lunch and enjoyed it very much. We were not in too much of a hurry but we were surprised to find that our main course took over 30 minutes to arrive. The bread and drinks came quickly but you would think that the relatively small number of main courses would not take so long even at a busy time. And the many salads could be prepared in advance. Nonetheless, Ottolenghi is a god, so don't miss it. Service was great. The only thing I don’t like is being told to vacate the table as they have a second lunch booking on our table. Great food, very friendly and helpfull service. A bit noisy. I will definitely return to try other dishes! Really delicious food. We had the piedmont peppers with our drinks, then two 'starters' and two 'mains' to share. 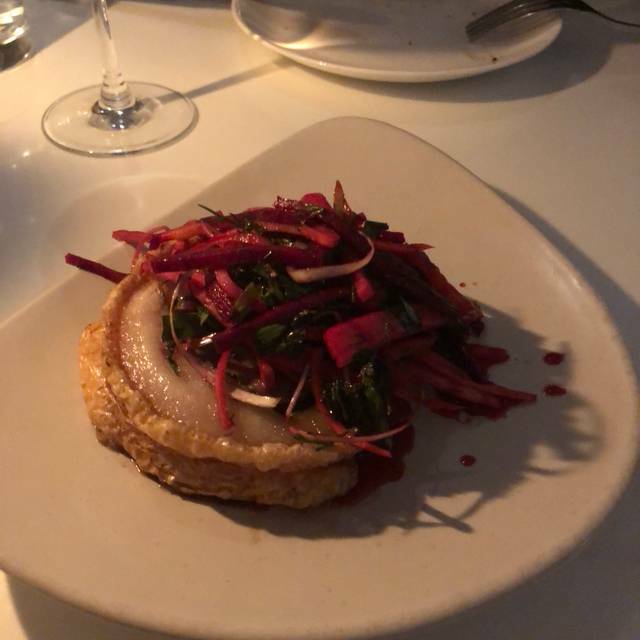 Everything was very good, I specially liked the celeriac - and I dont normally like that. We occasionally have to work up in the city, and eating here, makes a 'long hard day' a treat to look forward to. We will be back ! It was fantastic and everything I expected after the rave reviews I’d heard. Repeat visitor. Sensational experience - as always! Fantastic lunch with friends. My Sardines were fantastic and the accompanying salads were beautifully presented and were very tasty indeed. Great balance of flavours on what was a delicious, flavoursome and healthy lunch. 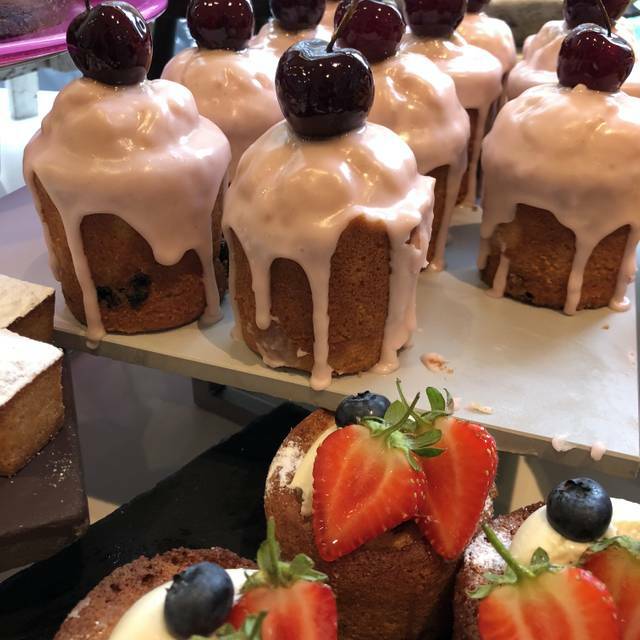 Went to Ottolenghi Spitalfields for breakfast; ambience was lovely, buzzy but not loud and service was extremely welcoming, very helpful and happy wait staff. Breakfast food was lovely, small choice but good ones, different from the traditional with a twist. Will definitely recommend and will be going back. I’ve been dreaming of coming here and brought my friend along for a birthday treat. It did not disappoint. The food and wine was subliminal- fresh and wining combinations. However what made it for us was the service we received from Claudia. She was attentive in exactly the right way, friendly, took care of us well and answered any questions with passion and insight. Thank you Claudia. The food was incredible - tastiest food I've had in quite a long time. The only downside is the pricing really! It's a once every year or two occasion for sure. The servers we very friendly, although super busy so didn't check in too much. They also forgot two of my orders, one I reminded them about and one I didn't. It was a wonderfull experience. When we come back to London, we come back to this place! I love Ottolenghi Spitalfields and go there regularly. However on this time the lady who seated us loudly complained that we had a pushchair with us which I had forgotten to detail in the reservation. We were then not offered a highchair for my daughter. Nice ambiance and great food. However, normally you cook Ottolengi in one taste category. The sharing idea of the restaurant results in an abondance of flavours. Also the time to eat is limited to 2 hours. I do not like that idea of a time limit on dining. Still, overall a great restaurant! Most enjoyable food, wine and service, albeit a little expensive. Great service, awesome food! And even the coffee was good, you dont often experience that in good restaurants. Really fesh, simple food. I would certainly recommend to friends. Service was good and it wasn't overally busy or priced for what you get. Food was great but service wasn't very attentive. Food was good but it all arrived at the same time. Instead of being able to enjoy each dish we were forced to eat everything at once while it was hot and they were very different dishes and flavours so it ruined all of them. I felt like I should have ordered everything to go!